Is a guide book better than google or searching online? by Dave from The Longest Way Home ~ February 1st, 2010. Updated on February 9th, 2011. Published in: Travel blog » How to guides ... » How to live overseas. Which is better for travel: Google or Lonely Planet? When I was about to embark on this journey, to travel the world in search of home, I knew that I needed some form of “Ultimate” guide. Let’s not forget this was over 5 years ago. Google Maps was only in development then, Lonely Planet was just releasing PDF’s and there was barely a glint of a smart phone on the horizon let alone an iPad to store or view anything. Times, and my travels have changed though. Now a laptop is under 1kg, and better yet – the smart phone, iPad like tablets and wide-scale wi-fi availability bring together a challenge to the paperback bible of travel. As much as I have respected the information within Lonely Planet in the past, my enthusiasm has faded over the years. 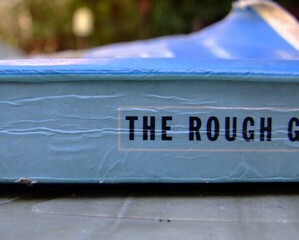 Return of the Rough Guide? Maybe this is due to my own experience level in travel increasing, or because of new alternatives. Back then I only tore out the pages I needed. Mainly the maps. Once I know how to get to a place, it’s all easy from there. With a smartphone in hand I have access to Wiki’s, hostel review sites, blogs, and travel forums. Not to mention the ultimate in self location awareness – Google Maps. Mix in some pre-downloaded Nokia Maps, and a cheap sim in every country how could I possibly get lost? Everything is in my pocket. I travel far too often and for too long to carry the physical weight and expense of a new Lonely Planet Guide for each country. It’s simply not logical. I have looked at their buy by chapter and calculated it out to be about the same cost as buying the book depending on where and what you are printing. In fact the whole print a chapter thing simply does not work in some countries. I’ve brought my shiny USB into plenty of places en-route and asked if they can print a few chapters out, only to be greeted with a shaking head. When the heads do nod, then the printing is only one-sided, and on an excessively expensive ink-jet printer. Dejected I begin the $5 bartering process with the man with the latest “pre-release” edition of said guidebook waiting outside with a waggling head. Faded maps and all. Fresh from ripping out the useful bits from the guidebook and designating the ‘flowery language’ bits concerning ‘overly friendly locals’ to the bin; I take out my smart phone. Here though I find PDF guides equally inept. Constant scrolling, ill-fitting on-screen pages and the lack of ability to take fast easy notes frustrates me too much to make this medium work for me either. An iPad, no thanks. It’s too big & awkward for taking out on the street the way I travel, and it has severe limitations that a smartphone can offer as an all in one device. Enter Google with another option to knowing where I am and what there is to see: Search and Mapping. All is not so great with online maps! Still, up until one year ago Google had not mapped El Nido, not that the tiny town in Palawan (Philippines) is hard to get lost in. But it’s always good to know that the place at least exists! Recently though, I checked again and it’s there! Road names and all, with a little blue GPS dot flashing my exact location. The cost to me, mere cents. It’s near impossible to get lost anywhere with this system. What’s more, Google Maps are accurate. I seem to remember walking down a main road in Brasov Romania that wasn’t listed on my Lonely Planet map. It was 4am, it took 3 hours to find a crummy recommended hostel – and yes; I am still a bit bitter. With Google Maps if I type in a search for a guesthouse it will fire back something useful, like it’s exact location, plus linked reviews. Pure travellers bliss. In Manila I could get off a bus onto a crowded road and head straight in the direction of the guesthouse that promised no GAP year students, no tour groups – touts at the bus station, be damned. With the torn out page solution it would always take a while until I got my bearings. Street signs permitting, elbows at the ready; I stare at a crumpled map while telling the touts that I know exactly where I am! There simply is no doubt; Google’s application kicks Lonely Planet’s proverbial paper map to the curb. Mix in ready access to wiki’s, forums, and reviews – it seemed near perfect. That is until a few months ago. Perhaps it’s Google playing with Augmented Reality, or perhaps someone is still practicing the moniker of BETA testing. But now as I search for a guesthouse on Google Maps – at least 4 or more little red markers pop up in different areas of the map telling me this is where the guesthouse is. Misinformation overload at its worst timing. Information overload, I just want the hotel I typed in! These are user additions. I notice these additions come and go. Maybe they know this has the potential to be not so good. As in the photo example here, too much information can get a little confusing. The problem is, as I’m sure you can imagine, this can cause a traveler untold problems in finding the right place. Likewise with “suggestions”, or other places to stay. Eventually, I suspect Google will soon monetize maps with sponsored listings, thus making it even more tedious to find the cheap, or pre selected guesthouse of choice. Least we forget what happens when we are in a country without gprs/3G etc, or we simply run out of credit/coverage or battery. Overland travel is another story, as more often than not there is no sim available at the border. And no, I am not a fan of prepaid plans on international roaming rates. In country sim’s and costs are simply much cheaper, for my type of travel at least. As for Nokia Maps? Well the idea is nice. Download all the maps to your phone, and you don’t even need an internet connection to get around… unfortunately they’ve not even road mapped the Philippines yet, and I am not holding my breath. 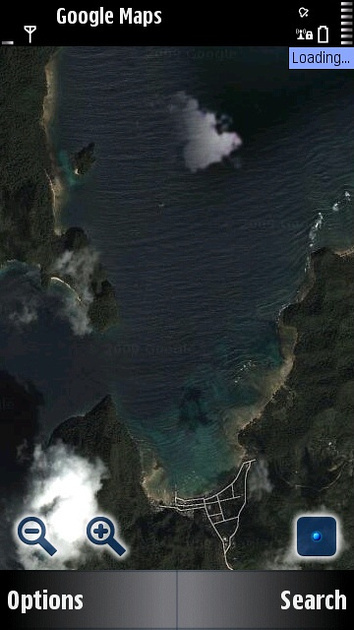 What’s more, at one stage my Nokia map was telling me whilst in El Nido, that I was 5 miles out to sea… useful eh? What’s better: a guide book or everything online? Is technology lagging here or is it the companies themselves? Surely Lonely Planet can see the writing on the wall? Using a combination of Wikitravel, hostel sites, and google maps, one can effortlessly move around a country knowledgeably without stepping out-of-place even once nor have the need to carry a hefty paper book around. Or will Google’s monetization of maps and reliance on user contributions and ‘connected only’ regions cause its own downfall in the world of travel? I think not. Frustrate users, yes, but fail, no. One things for sure; Apple iPad apps, private travel companies developing mobile app’s, interactive website guides and a host of other media are all also thinking about how they can get a bite of the travel guide pie. Maybe even Rough Guide’s will move back into the picture and surprise us all with something revolutionary. Google is pushing ahead either way; and, it’s working to an extent. Lonely Planet still has a great reputation, the feel good factor of a book, market dominance, and hopefully, if not obsessing too much with iPhone & iPad beta apps, a plan to move forward with innovative technology. I still shred guidebooks, and photocopy pages. They lurk with a pen in a side pocket. I like having this information to hand and the ability to scribble notes only I can read. But in my other pocket are two batteries, a smart phone, and the ability to not waste time in getting to exactly where I want to go with the exact information I need. Both serve a purpose for my travels, for now. But I wonder which pocket is more likely to be emptied in the future? Try Yahoo maps too. But I like google street view. -Connie T.- Great idea Connie, it’s been a while since I looked at them. I’ve downloaded an application with them on it and will certainly test yahoo maps out. -jessiev- Thanks Jessie. Sometimes it doesn’t change fast enough though! -Nomadic Chick- Good to hear you’ve had a similar experience. Yes I’ve heard of Moon, and I think I got my hands on one once. Wasn’t going to that place thought. Another I didn’t mention is Trailblazer, the old ones at least were stellar! -Scott- Hi & welcome Scott! Yes the combination approach is the best option at the moment. Not everything is 100% on both sides at the moment, so having a backup is good. Yes Wikitravel is something I use a lot, but for remoter areas its lacking. Unfortunately that’s one of the problems with user edited information. If the funding is there, I am sure it will get better. -debbieann- Hi Debbieann, totally agree with you about spending too much time in front of a laptop. I only use it for this website, and research. Once I have the information I just transfer it to my phone. Keep’s me out of cyber cafe’s a lot, and keeps my costs down! -simon monk- Hi Simon, nice to see you here. I read your post. As you asked about where I’ve been, take a look to the left of nearly every page on this website you can see where I have been on this journey, alone. In every country I have managed to have a gprs connection. Even Nepal and West Africa. The only place I did not use it was Iran where the cost of buying a sim was too much for me. $35 Dollars. Most other places $5. Bar Europe which was $10. In your post you mention using an iPhone. I don’t, I have a Nokia, and for all it’s faults the symbian apps are not only free, but works pretty well nonetheless. I do agree that smart phones and applications are not 100% the solution, hence I still carry torn up or copied guidebook pages, but they are, in my opinion well on the way to overtaking. -Keith- Hi Keith, nice to have you comment here. You bring up a very valid point about guide books being used more for at home, pre travel plans. And also the brand name reassurance for quality of information. Couples are a prime example where a guide book is much easier to share and plan over than a smart phone. That said, I can see this also changing once an application and a phone can allow ease of sharing along with note taking between people. -Joel P- Absolutely agree about note taking with a book rather than a smartphone or even laptop. Even with a very, very light laptop I much prefer having a smart phone at hand, and notes in my pocket. That said I’ve yet to come across a smartphone that makes it easy to take notes with. Once that is cracked, then things will pickup. Safe Travels in Africa! isn’t it crazy, how technology (and the information-gathering process) changes so very much? excellent article! Great opinion piece. Everytime I’ve purchased a guidebook I only used it for the map, some transportation info and my first night stay. In Brazil, I barely cracked the guidebook. 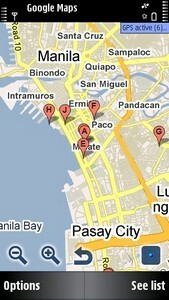 I used the net to find hostels and only referred to the book for an occasional map. One thing, I’ve heard the Moon travel guides are stellar. Very detailed and up-to-date info. We use a combination of guidebooks and the net for our travels. The guidebook is nice to have one centralized location for all the information about the place your going to. But for booking hostels and accomidations, we use the internet 100%. In Europe we used hostelbookers and hrs.com, and in Asia individual guesthouse reviews. I’ve also found Wikitravel.org to be a fantastic resource, a sort of live guidebook. I agree! up til now I did the guidebook/LP thing, but this last trip was too many countries. I used trip advisor to pick a place the day before we got there – downside was xmas availability in Penang was low, but otherwise it worked great. I used chowhound and eating asia to figure out where to eat and the rest we just played by ear. It made for some lovely surprises – I had no idea Cambodia had ATMs that spit out US $$. also wikitravel is great. oh the other downside was I think we ended up spending a little too much time online – free wifi and carrying our laptops added up to that – but it was our form of relaxation. Mmmm, I’d agree that travel starts with Google these days and not Lonely Planet. However, I don’t know where you are travelling to but all the places I go a smart phone doesn’t work so you don’t have access to all these wonderful applications that work fine at home. Great in theory but it’s years before this arrives as a genuine on-the-road travel experience. Travel still requires a melange of tools. Smartphones have a ways to go yet to make the experience of using them worldwide user-friendly. Guidebooks are becoming more of an at-home pre-planning fixture. And really, I don’t think it’s about the information so much anymore – that’s easily accessible on the internet. Guidebooks seem to drawing readers just on brand power, pulling people in to see the places Lonely Planet, Rough Guides, Let’s Go, etc. recommend. I still prefer the guidebooks to the pdfs in general just for basica planning. I’m working with a netbook rather than a smartphone, though– I travel too quickly through countries for buying sim cards for each to make sense, so all my internet comes from wifi hotspots. Fine in Europe, less convenient here in Africa, where I am now. I don’t have a paper guidebook for the area I’m visiting yet, but I usually find I plan a better trip with a physical book I can easily flip thourhg without worrying about batteries. I don’t use guide books very often, I find that sometimes you actually miss out on a lot of things by following the guide books. Ofcourse it’s good to have one just in case, but sometimes I feel like it takes away the adventure of the trips, it’s more fun finding your own places to eat and sleep and finding your own markets and such. The best places I’ve been to are places that I ended up in by the most random ways..
You’re right about the problems of PDF files, but it’s a good alternative if you just want to read some brief and necessary facts, and let the rest take care of itself. I like having it in the computer just in case I would need it, because most often you’re just fine without it. -Sofia- Yes sometimes with a guide book one follows it too rigidly, and end up missing things that are staring you straight in the face. Local festivals are a prime example. In some countries the dates change frequently so it’s hard to pin point them. Though the main one’s are mentioned in guidebooks, it’s the local one’s that are attracting many people these days. Possible due to over commercializing of the others. And yes, random travel can bring up the beauty of the unexpected which make travel so interesting. Having that backup PDF is always useful, especially in countries where there’s not that much information, or access to it. Look what this phone can do. If you can get this, it tells you where things are. Just wanted to let you know. When I watched this, I thought you could use something like this. -Connie T- Thanks for that link Connie. I actually looked at the i-Phone very carefully last year. But it’s cost, and it’s lack of multitasking, and it’s inability to change batteries rendered a no go for me. I have a symbian phone now which does all the above for 1/3 the price. It’s not perfect, but it’s saved me money as I’ve described in the post. Let’s put the data roaming charges to one side for the moment, has anyone actually tried 3g based services while travelling? Most of the places I go there isn’t even access and I’d argue this is more years away than most people anticipate. I bet neither mr Jobs or mr Schmidt travel very often to mildly exotic destinations like Vietnam or Egypt, whip out their iPhones and try to use this stuff, whereas Tony wheeler does it all the time. I’m in travel and technology, have been using lp guidebooks for decades, carry several mobile devices with me when I travel, and closely monitor changes in behaviour. Don’t disagree with views expressed but still reckon it’s a longer timeframe than most people think. -Simon monk- Yes, I’m using 3G in The Philippines. I’ve never been to a country on this journey whereby I’ve not been able to get access to the internet on my phone. Is it always easy? No. Sure if you are off in the bush in the middle of the Congo you will have network issues. And, in countries where data is restricted, Egypt e.t.c, it might cause problems. But, that said gprs usually still works. And with it so will google maps, and the internet as one’s source of information. The countries I’ve had more problems in connecting have actually been developed ones. Paper work, expensive sims, and convoluted set ups. Why? There are using older systems that have not been upgraded yet. This is expensive. Whereas many developing countries are basing there new infrastructures on the latest technology. I agree that the likes of I-Phones, Nexus e.t.c., are not created based solely on an international travelers need. But if used with local sims, they will work. Then again, Lonely Planet has been catering more to the generic tourist for the past half decade. With the BBC taking over a couple of years ago, plus the sacking of the website staff recently, we might see some changes here the will improve it’s content, web access, infrastructure and presence. -ciki- :) I think there’s a place for both. But LP, in my view, are falling behind. Then again, maybe I’ve out grown them after 5+ years! Before I go to a different town/country I’ll download the maps for offline viewing. Still enjoying your writing. Your perspective differs from mine solely because times change. I’ve got much more on my list than you simply because I got a head start. Going on 20 years now, and though I am still young, I am getting sick of trying to decide where to go (again). Haven’t carried a camera or kept a journal in years. And, I’ve been in Philippines longer than any place that I can even recall. The English and the ladies have kept me here. I have packed and unpacked so many times it makes my head spin. It’s always “this time I am REALLY GOING, I MEAN IT THIS TIME, DAMMIT”. Nobody even listens anymore or believes that I will simply vanish, without a sound or a wave. But it is coming. To where? For starters KK, then visit old “friends” in Malaysia and Thailand. After that, who knows?—- So, don’t “hit the wall”, that can happen, you know. Keep writing. Hello there again. Thanks for your insightful comment. If you become settled in a place, then yes I agree it’s hard to pick a new place to go. I choose Sabah/Borneo over Australia simply because it was a happy medium after The Philippines. I hope that makes sense! If you are still young at heart, and don’t mind some rough days of travel, then picking a new destination is always an option. 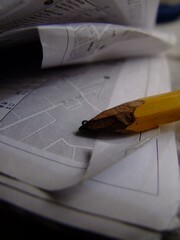 I liken it to looking at a map, let you eyes scan over it, and wherever your heart flutters with curiosity, go for it! The Philippines will still be there if you need to go back. And, yes, about the guide. I can’t carry that big heavy book anymore either! Love this post! During my RTW trip in 2008/2009, we didn’t have a cell phone or a laptop. We got lost plenty of times trying to find stores or attractions on sketchy maps ripped from xeroxed Lonely Planet guides. (To this day I am convinced few of the vegetarian restaurants listed in Lonely Planet actually exist). I imagine if I had an iPhone with Google Maps, traveling would have been so much easier! However, I enjoyed being able to disconnect from my digital gadgets and really experience my trip. I think most of the info in print guide books is hopelessly outdated, since it’s often written years before you hold the book in your hands. It’s important to supplement guide book info with blogs and Google searches. Theres often a fine line between traveling with info, and traveling without. Sometimes it’s nice to get lost, and not know exactly where you re going. Sometimes it’s good to get to place and know you are really there.